Open every day, 7 a.m.–5 p.m.
Baileys Harbor, Wisconsin, is home to around 1,000 year-round residents. 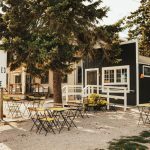 Until recently, the sleepy town in Northern Door County had little to offer for dining and drink, but over the last few years it has morphed into a foodie destination. Door County Brewery Co. opened a new taproom, and Chives, a farm-to-table restaurant, is located just down the street. 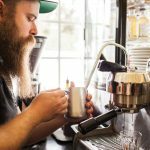 In 2014, Bearded Heart Coffee opened its doors, giving Baileys Harbor its first taste of specialty coffee and tea. The café pairs espresso drinks and pour-overs with creative toasts on a tiny but thoughtful menu. Tiny is the operative word here. Bearded Heart is located in a 300-square-foot structure, about the size of a fishing shack, across the street from Lake Michigan. The location called out to owner Mary Horton like a siren. “We wanted to start with a tiny space to keep our overhead and costs low,” Horton says. Sage Conrad, Horton’s daughter, manages the café. Storage has been the biggest challenge, but what works in their favor is a larger footprint available outside, where café-style seating is added on warm days. 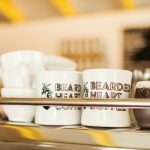 Bearded Heart supports regional suppliers of organic, sustainable methods for everything from the coffee beans to the milk steamed for lattes and cappuccinos. 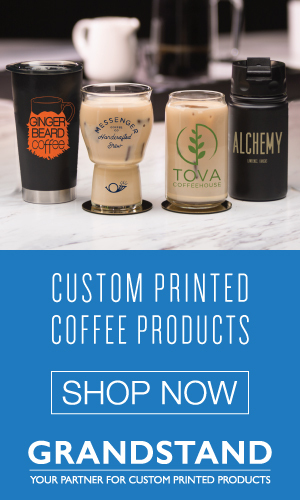 Four Midwestern coffee roasters are often featured: Dogwood (Minneapolis), Kin-Kin Coffee (Madison, Wisconsin), Ruby Coffee Roasters (Central Wisconsin), and Ephraim Coffee Lab (Ephraim, Wisconsin). Other roasters rotate into the offerings from time to time. Being in Wisconsin has proven to be a golden opportunity. “We are in the milk capital,” Conrad says. Red Barn Family Farms in the state’s northeast corner won them over. The family-owned farm is part of a co-op of 15 small farms. “We also use goat milk—that’s been a popular alternative to cow milk,” Horton says. Drinks depart from traditional offerings, folding in local ingredients. 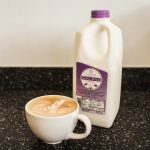 One example is the lavender latte, featuring lavender buds sourced from an herb farm located on nearby Washington Island. Lavender is also used for the Raspberry Toast, with fresh raspberries topping lavender butter with local honey. The Beautiful Burnt Goat drink features espresso, steamed milk, and salty burnt caramel syrup. For the Le Coeur a Barbe, espresso and star anise syrup are shaken over ice. 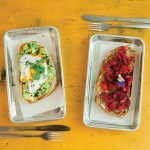 Two of the toasts—Chevre and Pesto Toast, and Chevre and Beet Toast—incorporate chevre from Door County Creamery. Kombucha is local, too. Door County is primarily a summer and fall destination for tourists. A two-month closure last winter provided time to redo the interior. Horton and Conrad built new countertops and adjusted the floor plan, adding a back door, to get rid of what Horton called “a bottleneck situation” just inside the front door. 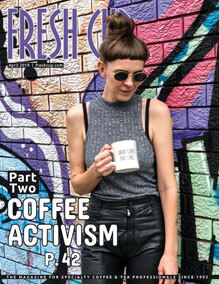 Special built-ins for cups, lids, and coffee beans were added, as were two new fridges, one devoted solely to milk and another for chilling syrups. Adhering to a strict farm-to-table mantra has helped market the café, too. This is especially key as many locals and visitors are drawn to the natural landscape and its silent-sports activities, such as kayaking, hiking, and sailing. Customers expect a genteel approach to the food and drinks to match with their surroundings. 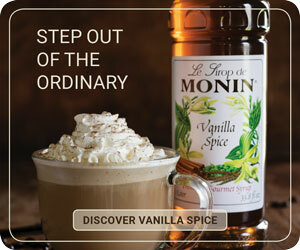 Another recent change is to further highlight the tea menu to customers, including its careful sourcing. 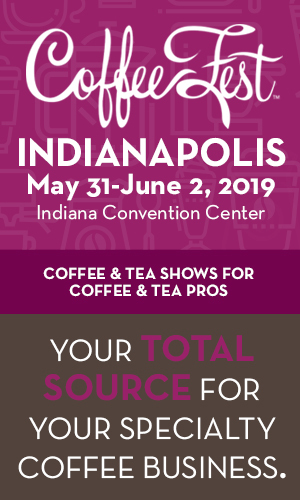 Coffee pour-over service was recently added, too, as well as gravity pots to brew tea to order. “Door County has always been a vacation spot for older people, but it’s changing in the past few years. I like to think we are a part of that,” Conrad says.